One of the big questions for the Yankees this off-season was Third Base. Would the Yankees swing a trade for someone? Would they let Martin Prado man the position and hand Second Base over to last year’s breakout minor leaguer, Rob Refsnyder? Would they go after one of the big free agents in the open market? In the end, they kind of did the latter, signing Chase Headley, the best free agent Third Baseman on the market after Pablo Sandoval and Hanley Ramirez both signed with the Red Sox, to a four year, $52MM contract. Is this the right move for the team? Let’s investigate. First of all, Yankees fans – at least those that didn’t bail on the team last year – should be pretty familiar with Headley. The Yankees traded Yangervis Solarte and Rafael de Paula for the 30 year old nine days before last year’s non-waiver trade deadline. Headley had been having a pretty miserable year with the Padres, slashing .229/.296/.355 with ust 7 homers and 32 RBI in 77 games on the west coast. After the trade, Chase’s numbers picked up, as he slashed .262/.371/.398 with 6 homers and 17 RBI in 58 games. Now, the 17 RBI in 58 games might seem pretty terrible, but, when you really consider just how awful the Yankees’ offense was last year, it’s really not so bad. Hell, the guy won his first game with a walk-off single and added a walk-off home run against the Red Sox in September, all while playing stellar Third Base (and even solid 1B when Girardi asked him to do so for some reason). He really didn’t do so poorly. The problem with Headley is that people can’t seem to get over the year he had in 2012. That year, he slashed .286/.376/.498 with 31 homers, 115 RBI and 17 SBs, leading everyone to think he was finally going to deliver on all the promise and hype that surrounded him when he was a youngster in the Padres’ system. It never happened. Headley only had 26 homers and 99 RBI in the two seasons following that breakout campaign, and he was even slowed by some back troubles to boot. At worst, and consequently also at best, he’s been an average Major League hitter at the plate for his entire career. That’s still way better, in every way, than the garbage the Yankees have been trotting out to the hot corner for the last two years. We all loved Solarte during his time here, but not so much Kelly Johnson, Zelous Wheeler, Scott Sizemore, David Adams, Chris Nelson, Brent Lillibridge, Luis Cruz, Kevin Youkilis and even Alex Rodriguez. Good lord. Just writing that list out made me want to stab my eyes out with a jagged hook. Headley is a better all-around player than all of those guys right now (keeping in mind that Alex has two Bo Jackson hips and hasn’t played in over a year). This move makes the Yankees better at the plate. 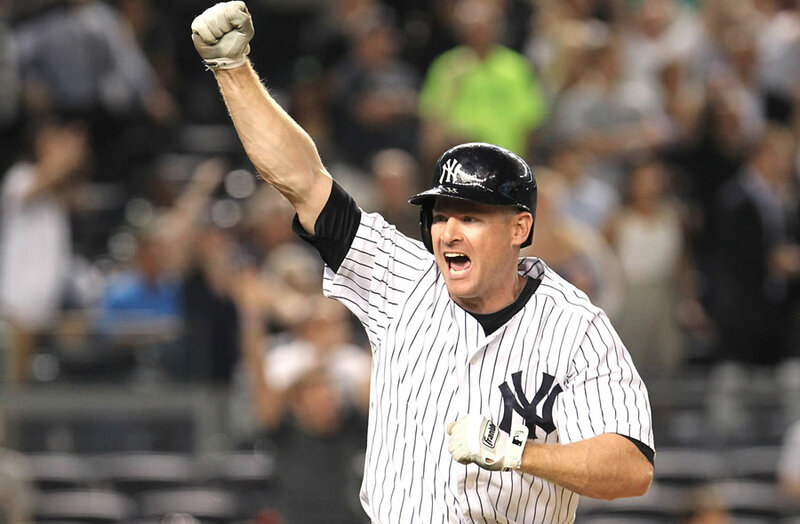 Fun Fact: There have been six Major Leaguers named Chase (Headley, Wright, Whitley, Utley, Anderson and d’Arnaud). Three have played for the Yankees. As far as the money goes, it’s a whole chunk of change, over a good amount of years, but is it really out of line? Pablo Sandoval got 5 years and 100 million. That’s nearly twice the money for just one more year of play. Now, granted the numbers are skewed by Headely’s Giant 2012, but did you know that they Yankees new Third Baseman has had a higher OPS, OPS + and WAR over the last three years (.782, 123 and 13.6, respectively) than has the Red Sox new Third Baseman (.759, 116 and 8.2)?a I bet you didn’t know that, did you? I didn’t. If these guys end up performing similarly over the length of their deals, then this Headley deal will look like an absolute steal for the Yankees. At worst, Headley is going to be average at the plate, with a few more homers added now that he’s going to be playing 81 games at Yankees Stadium and not Petco Park. In the field, he’s by far the best defensive 3B the Yankees have had since A-Rod in his prime, and maybe even the best since Scott Brosius. Now that was another guy the Yankees took a chance on (albeit a far less expensive and lengthy one), that worked out pretty well, right? Like three World Series championships well. All of a sudden, in just a couple of weeks – thanks to the addition of Didi Gregorius and the move of Martin Prado to 2B) – the Yankees turned their joke of a defensive infield from last season (sorry Derek) into a very solid unit. It’s one thing to watch your team score 2 runs a game. It’s another to watch them score 2 runs a game while giving up 3 on errors and bad plays. This move will make the Yankees better on the field. This move gives the Yankees a much better option at third than anyone else who was left on the free agent market, doesn’t cost them a draft pick or prospects like a trade or free agent might, and won’t, in the grand scheme of things, cost them all that much money. I know I said in September that I’d only take Headley back on a one year deal to possibly be a backup, but I think I was just angry from another playoff-less season, and I overreacted. I like this deal. The Yankees got a starting Third Baseman at market value (yes, including the fourth year). Good job, Brian Cashman!